The time has come to officially change the nomenclature of the RadioA1A music programming format. That wonderful sounding description defines ‘Tropical Americana’ Music very well. But, for the sake of our artists, listeners and sponsors, we are working tirelessly to attract a larger audience and to broaden our listener base. In my opinion, after extensive research and feedback, ‘Tropical Americana’ best describes our unique RadioA1A Tropical Programming and will provide a larger listener demographic. Will you notice the change? Most probably, not at all. It’s basically the same music but justly identifying it with a broader and more inclusive description. Increasing listenership is any successful Radio Station’s primary objective. From this fact, we find that a move closer to the ‘Americana’ Music genre’, or an ‘Americana Music’ genre’ sub-category will provide many more potential listeners for RadioA1A and create increased exposure for our independent singer songwriters and sponsors. The RadioA1A format change will also create valuable connections providing more advanced and capable association relationships. The value in association with trade professionals who share a common cause of advancing the business aspect of Music will pay measurable dividends. 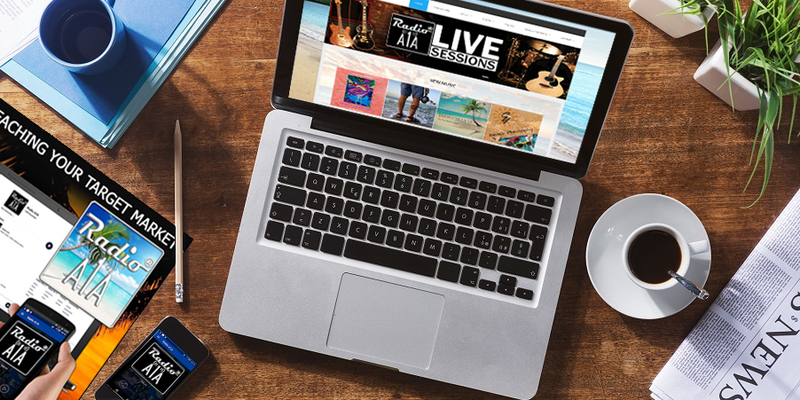 On that important note, it is my distinct pleasure to announce that RadioA1A is now a ‘Cornerstone Member’ of TAMA , the Tropical Americana Music Association. TAMA has been formed by a committed group of Tropical Americana Music professionals and experienced Music industry leaders who will provide support and tangible benefits to members and will guide Tropical Americana Music and TAMA membership into a more productive future. We enthusiastically support the mission of TAMA to represent and promote Tropical Americana Music and Independent Artists effectively and equitably. For those of you who prefer to continue calling the Tropically Inclined Music we love ‘Trop Rock’, we wholeheartedly encourage you to do so. We feel that Tropical Rock, Tropical Country, Tropical Jazz, Tropical R&B, Tropical Folk, Tropical Funk, Tropical Island, Tropical Beach, Tropical Surf and all Tropically influenced Music fits comfortably under the descriptive umbrella of ‘Tropical Americana’ Music. Please share your thoughts and questions with me or anyone in our RadioA1A Family. We sincerely welcome all productive input, positive or negative. 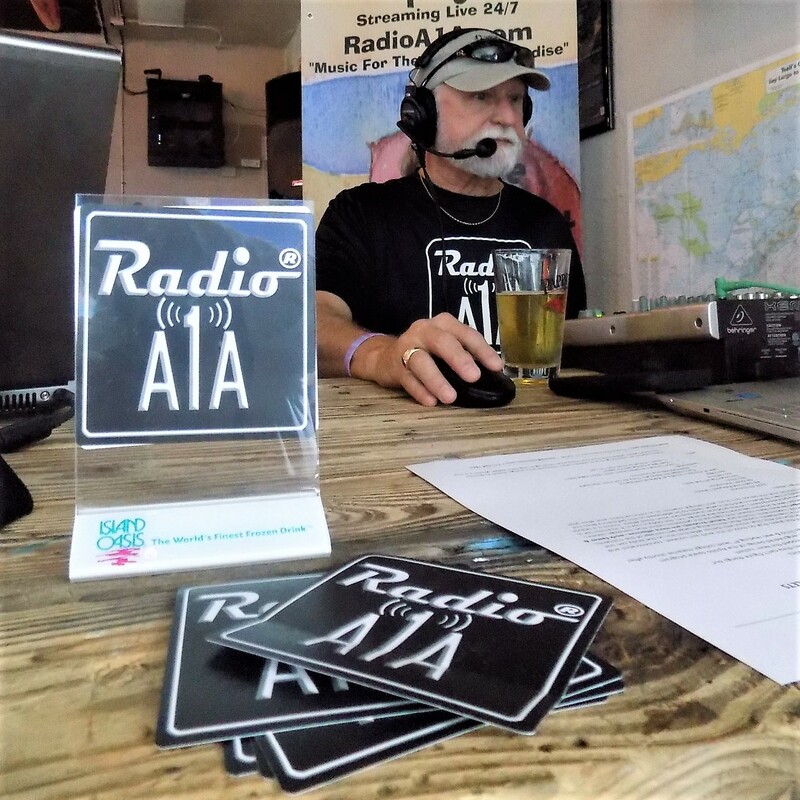 Cheers from RadioA1A and our beautiful, Musical and Tropical American Paradise, the Florida Keys. 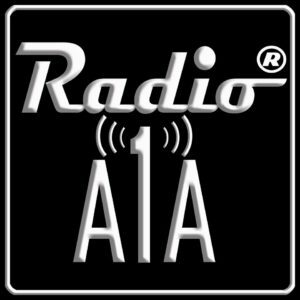 RadioA1A is listening to Tropical Americana at RadioA1A. Weekdays With Wilson coming up at 8am Keys Time on the award-winning RadioA1A radioa1a.com. 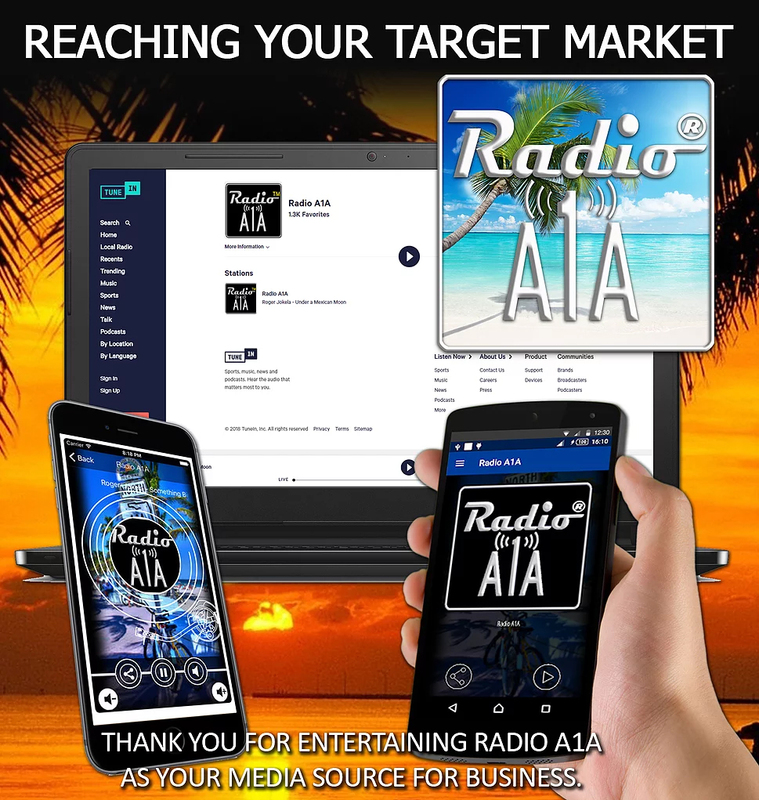 Get connected for this Tropical Trip to paradise by downloading the FREE APP at the App Store by searching RadioA1A: "Music For The Road To Paradise" Have a fantastic Good Friday & Happy Easter Thanks for listening! !